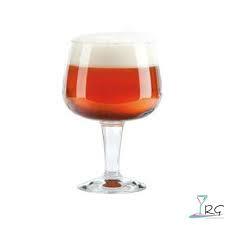 The wide gape and slightly incurved rim of the Gusto is perfect for a robust and aromatic beer like an IPA. Colour is showcased while leaving plenty of room for head development. The stem reduces thermal exchange. BeerExpertise twin packs, by historical Belgian glassmakers Durabor, contain two specially manufactured glasses, each style intricately shaped to maximise the enjoyment of a particular style of beer.